These cookies are awesome!!! I’m not sure, but they may be better than the Chocolate Chip Dreams. 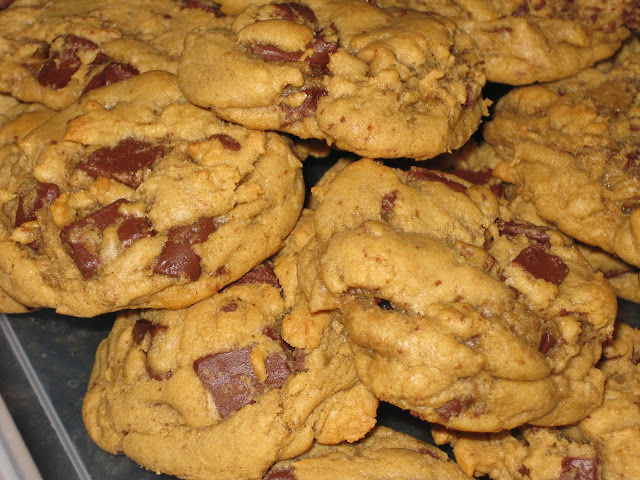 Well, I don’t know about that, but they are extremely close…I’ll have to make the dream cookies again to compare! This is Alton Brown’s “The Chewy” chocolate chip cookie recipe. 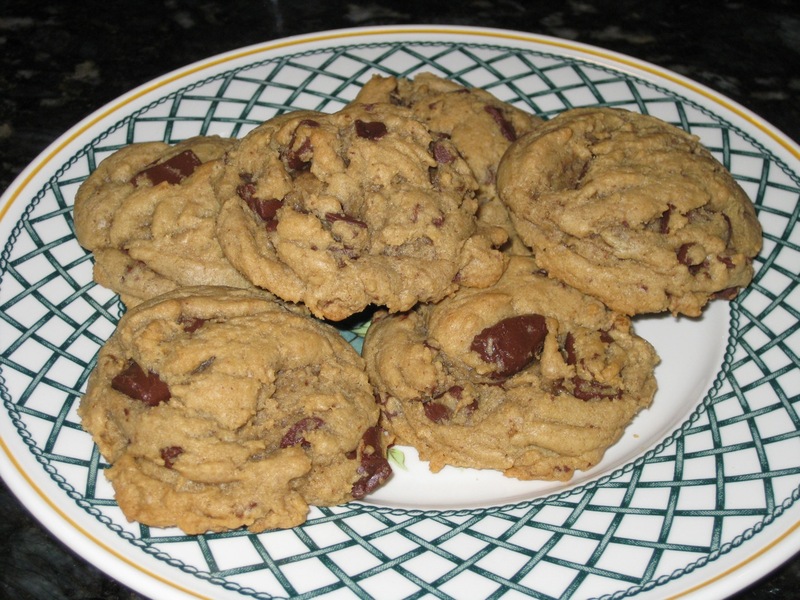 You’ve got to try yet another one of the many chocolate chip cookie recipes from my blog! Enjoy! 2. Melt the butter in a heavy-bottom medium saucepan over low heat. 3. Sift together the flour, salt, and baking soda and set aside. 4. Pour the melted butter in an electric mixer’s work bowl. Add the sugar and brown sugar. Cream the butter and sugars on medium speed. Add the egg, yolk, 2 tbsp milk and vanilla extract and mix until well combined. Slowly incorporate the flour mixture until thoroughly combined. Stir in the chocolate chips. 5. Chill the dough, then scoop onto parchment-lined baking sheets, 6 cookies per sheet. 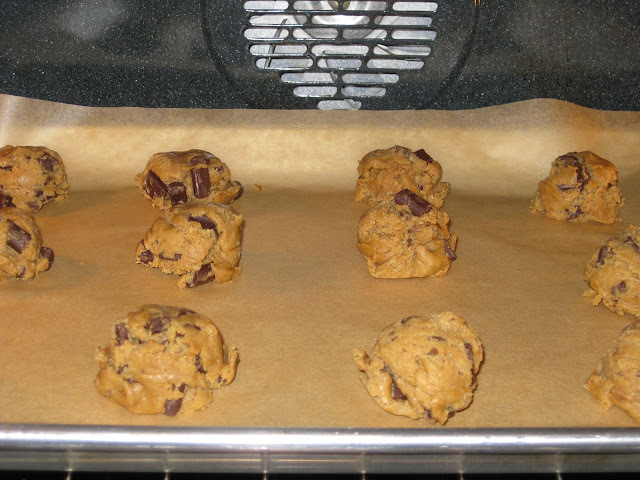 Bake for 14 minutes or until golden brown, checking the cookies after 5 minutes. Rotate the baking sheet for even browning. Cool completely and store in an airtight container.